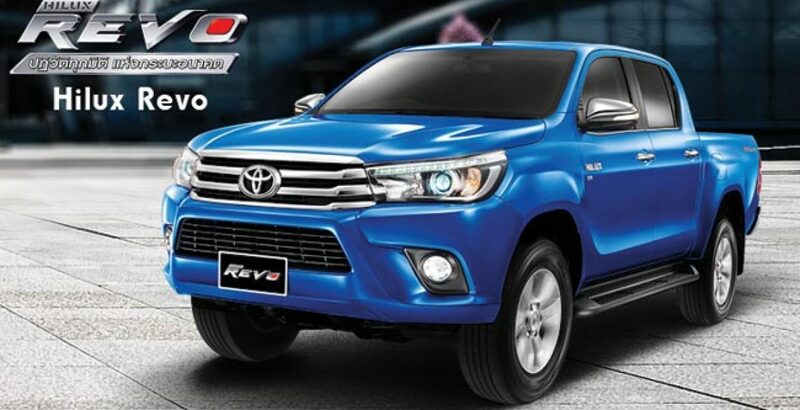 It has been several months since the rumors started floating about the arrival of Toyota’s new Hilux Revo in Pakistan. 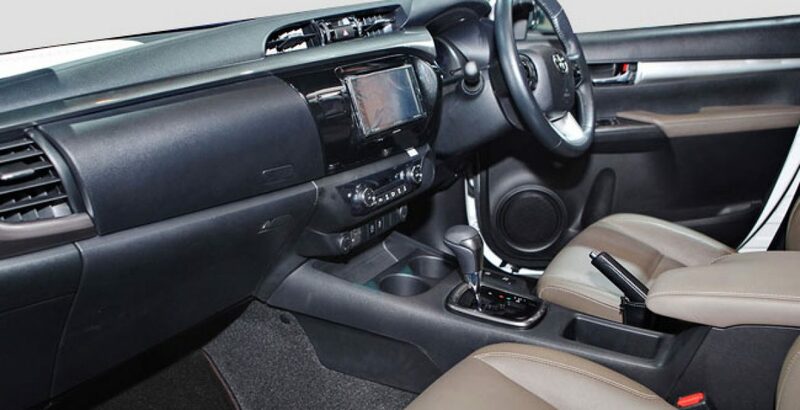 The Indus Motor Company – the manufacturer and distributer of Toyota & Daihatsu car brands in the country – has finally announced the launch of the long-awaited Hilux Revo car in the local market. The official announcement about the arrival of the car was first made on the Facebook page of the company. A short message read, “Something BIG is coming, stay tuned!” After this clear hint, it was easy for the viewers to guess that the all new Revo was on the way to automobile market in Pakistan. It is a car with extraordinary grace and capability. The new model has been made even more efficient, powerful and perfect. The car inspires the potential buyers in the domains of both looks and performance. That is why the staunch Toyota fans are ready to have their hands on it. Some of the outstanding features of Toyota Revo include an energetic 3.0 Turbocharged engine, autonomous emergency braking mechanism, vehicle stability control system, brake assist, and traction control. Moreover, there are 7 airbags installed in the interior. This is to ensure the safety of passengers in case of an unfortunate accident. The price of this luxury rendering vehicle makes it unreachable for the individuals belonging to the lower and lower middle economic strata of the society. Only the upper class people can own and have a ride on it. Can you guess what would be the Toyota Hilux Revo price in Pakistan? Well, it is expected to fall somewhere between 3.5 and 4.5 million. Sounds unreasonably high and unaffordable? It only seems to be unreasonably costly. In fact, if you compare the price package against the towering specs standards, it will definitely satisfy your sense of judgement. For transmission, there are four available options. The manual transmission system has 5-speed and 6-speed variants. In the same way, there are 5-speed and 6-speed variants for the automatic type. Here you should note that price may fluctuate for different transmission systems. You can go for any of these just according to your taste and affordability. Similarly, the specs for engine vary across different versions. For example, the engine capacity varies from 2.4 L to 3.0 L. The engine technology for different versions of this reliable 4 x 4 vehicle can be 2TR-FE I4, 1GR-FE V6, 2GD-FTV I4-T, 2KD-FTV I4-T, 2KD-FTV I4-TI, 1GD-FTV I4-T and 1KD-FTV I4-T. The first two technologies are based on gasoline while the remaining six consume diesel as fuel. 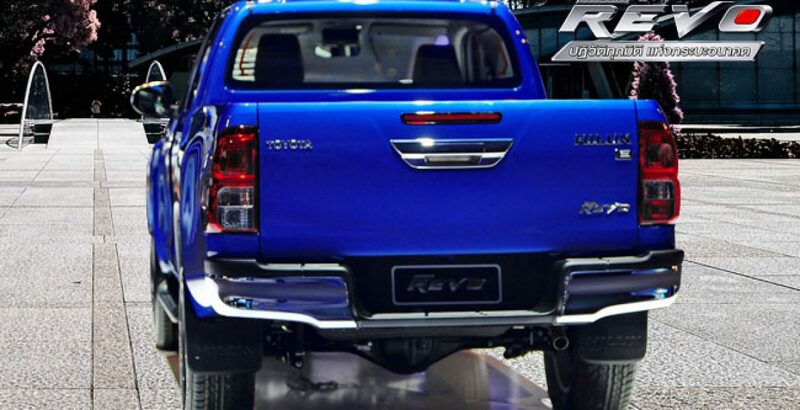 It came out through the official sources that Toyota Hilux Revo would be available to the general public by the mid of October, 2016. So, after its official launch, you won’t have to wait for so long for its availability. The official sources further stated that the corporate customers had been provided with the new tariff.